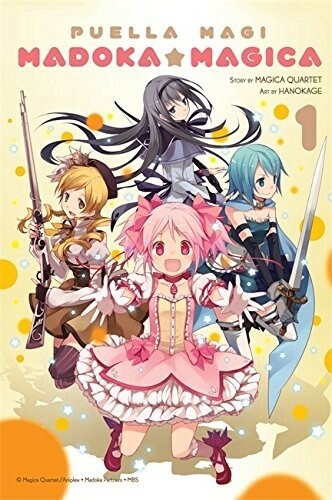 When a new girl joins her class, Madoka Kaname feels she recognizes the mysterious, dark-haired transfer student from one of her dreams...a dream where she is approached by a cat-like creature who offers Madoka an opportunity to change destiny. Madoka had always thought magic was the stuff of fantasy...until she sees the transfer student fighting with the very cat-being from her dream! And just like in Madoka's dream, the cat gives her a choice: Will Madoka become a Puella Magi in exchange for her dearest desire? What will be the cost of having her wish come true?